One idea, the “grandmother hypothesis,” is that post-reproductive women help raise their own grandchildren and great-grandchildren, and that this helps pass on their genes more than it would if they simply kept having their own babies. We do know that having grandmothers around can help their grandchildren in measurable ways. The problem is that it isn’t enough to show that having Grandma’s help is better than not having that help; you need to show that having Grandma’s help is better, from the perspective of passing on Grandma’s genes, than if Grandma kept having her own children for her entire life. This is very difficult to test because we don’t have any women who don’t go through menopause, so we can’t do a comparison. Another idea comes to us from studies of whales and elephants: maybe women stop having children because, at a certain age, their wisdom becomes so valuable that it’s better for their social group—which is mostly their relatives—if they avoid the risks of reproduction in order to live to guide the group longer. Reproduction, after all, is risky and takes a lot of energy. A female who ceases reproducing will probably live longer. Orcas are one of the few other species in which females live for a long time after they stop being able to reproduce. Females orcas generally breed between the ages of 12 and 40, but they can live past 90. Resident orcas—the orcas that eat mostly fish, rather than other types of orcas that eat mammals—live in groups of their own relatives. 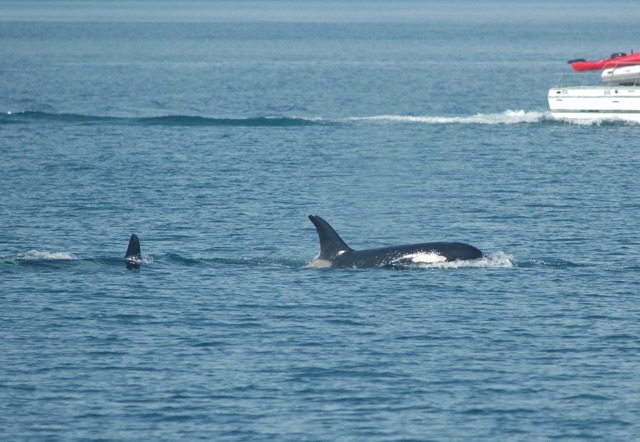 Orca family group with a calf. These orcas eat mostly salmon, and their own survival and ability to reproduce depends on their ability to find lots of salmon to eat. 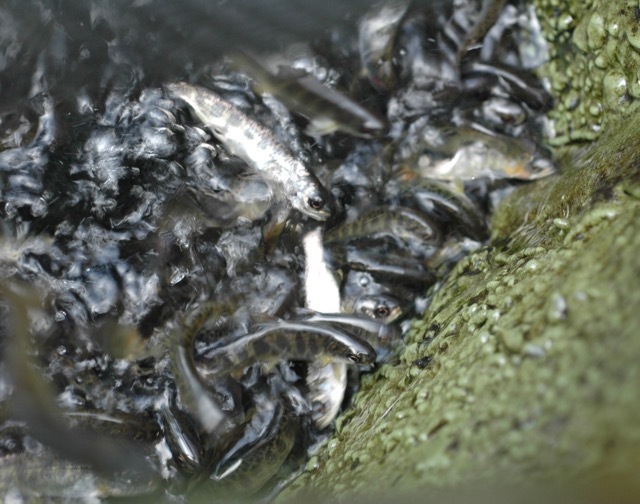 This can be tricky, because the number and location of salmon varies a lot from year to year. If you’re in a group of orcas that is good at finding salmon, you’ll do well—but if your group is bad at finding salmon, you will have trouble raising young, and might die. These baby salmon will grow up to be delicious—and hard to find. The presence of these females has a quantifiable impact on their offsprings’ survival. In the year following their mother’s death, adult orcas’ risk of dying increases 2-8 times. 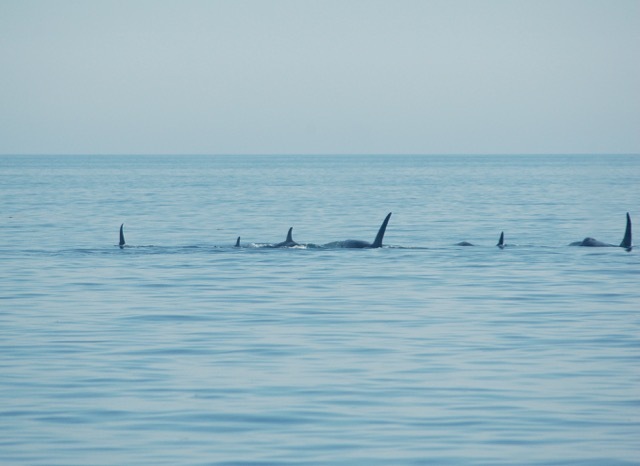 If you consider that these adult orcas probably have young of their own, which may not even be grown into adulthood yet and will therefore be dependent on their own mothers for survival, you can see that the survival of a grandmother may have a huge effect on her grandchildren’s wellbeing. Another example in support of this wisdom-of-Grandma hypothesis comes from elephants. Female elephants don’t have the 40+ years of post-reproductive lifespan that humans and orcas do, but they can live a bit past their reproductive years. 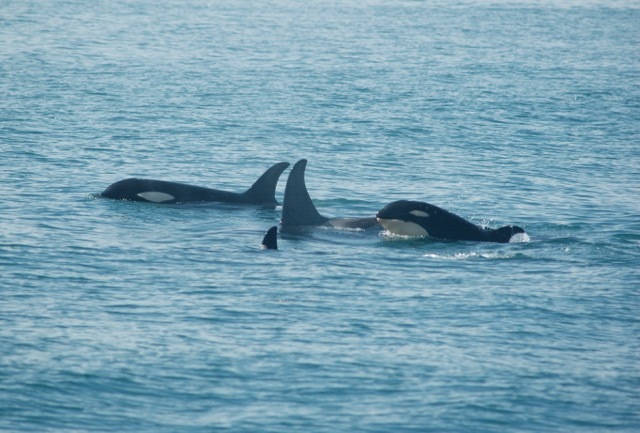 And, similarly to orcas and humans, they live in social groups with their relatives. These groups of elephants frequently encounter each other, and—again like humans—sometimes these other groups are friends, and sometime they aren’t. When facing a hostile or unknown group, elephants bunch up in a defensive formation. When meeting friends, they don’t. A good reason to be defensive: tiny calves. But how do you know who is friendly? There may be a lot of elephants to keep track of, and you may encounter any given group only rarely. You could bunch up defensively every time you meet any other group, but that would be a big waste of time, and you would lose out on opportunities for cooperation with friendly groups. Researchers studied which elephants in a group decided whether the group should bunch up defensively, and they found that it was the oldest female who indicated to the rest of the group whether they needed to be defensive or not. The oldest female elephant has met the most other elephants and has the best knowledge about which groups are friendly. A group with a very old matriarch benefits directly from her wisdom: they don’t waste time being defensive towards friends, and they are defensive when they need to be. So why do women go through menopause? Maybe because they know so much by that age that it is even more important for them to live a long time to use that knowledge than it is for them to have more babies. And, considering how much evolution tends to favor having lots of babies, that suggests some very valuable knowledge indeed. That’s right: you listen to me, Junior. Brent, L.J.N., et al. 2015. Ecological knowledge, leadership, and the evolution of menopause in killer whales. Current Biology 25:746-750. Croft, D.P, et al. 2015. The evolution of prolonged life after reproduction. Trends in Ecology & Evolution 30:407-416. McComb, K., et al. 2001. 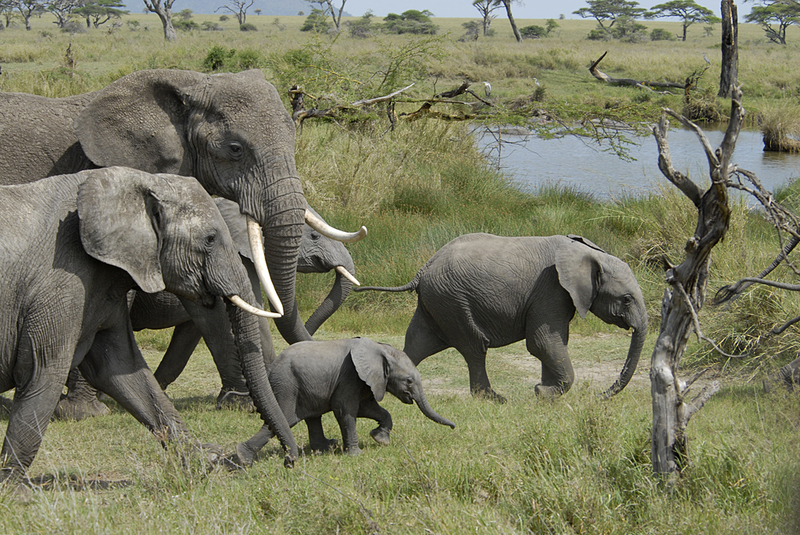 Matriarchs act as repositories of social knowledge in African elephants. Science 292:491-495. This entry was posted in general science-y stuff, other people's research and tagged animal behavior, elephant, grandmother, menopause, orca, science, whale by toughlittlebirds. Bookmark the permalink. Why not have the males live a long time and the females reproduce indefinitely? Could it be that it is bad for females to produce young when they are at higher risk of dying and being unable to raise them? Or do males have a higher risk of violent or accidental death that makes them a poor choice for a keeper of knowledge? Or maybe there is a trade-off between life span and being large and strong? 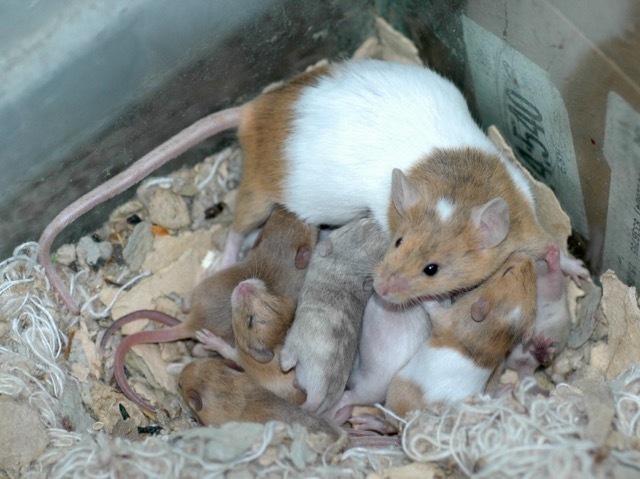 A male who stops trying to reproduce gives up a lot more potential offspring than a female. 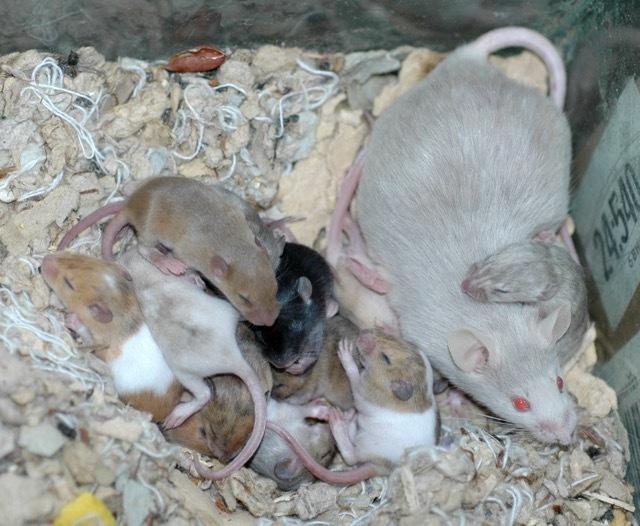 Females have a few babies in which they invest a lot; males can potentially have lots of offspring in which they invest very little. Also, an older male is likely to be at his reproductive peak – big and able to fight other males. So an older male who stops trying to reproduce in order to live longer may be sacrificing a very large number of offspring, whereas a female who does the same gives up relatively few extra offspring. Of course, male elephants have to compete for right to mate which itself can pose danger. Do we know if captive males live longer, or if there are cases of wild males living long but just must less frequent? Just going through must with your testosterone running 50-100 times normal seems to drive most males near crazy. With all the poaching of elephants they’ve found without the older males the “teenage” males become highly rambunctious and dangerous to humans, much more so than if older dominant males are present to keep them in order and are more likely to greatly damage things in the area, including trees, buildings, etc. Then, aren’t females more suited to be helpers with young having done it many times themselves, and recognize potentially dangerous situations before they put young in peril, etc.? I seem to recall seeing on documentaries, that analogous to the female orcas knowing the location of fish long ago found during years of lacking supply in normal feeding areas, likewise female elephants retain the ancient wisdom of where all the last-ditch water supplies area… even those that cannot be seen by the younger generations, and may know where to dig to get to water tables where they may still be accessible. Watched my wife help with my first grandchild before she passed away (my wife), and watched my mother help as well, both teaming to care for my granddaughter to ensure she was watched while my daughter worked. My neighbors next door have grandma living with them watching their young daughter during the day. I love my grandkids, but have not the patience nor the knowledge bank most likely to help out in such a way, although I did tend to be the nurturer when it came to spotting the sick kids, going to all the doctor appointments with my kids and so on – but I wonder if this is partly connected toward my being so perceptive of animal “feelings/moods” and spotting when something is just “a bit off”… and my palm could generally sense forehead temperature within two-tenths of a degree when any of the kids had a temperature (the kids all wanted my palm’s opinion when they thought the thermometer was off, and mom finally quit getting the thermometer out and just called me over knowing it was a lot easier and faster having me do it… even after the ear scanning devices came out). But, I’m sure that one talent hardly compared to what mama and grandma had to offer! lol. Ain’t nature great and so amazing!